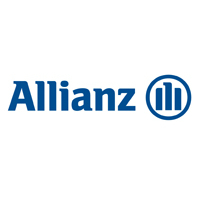 From Legal Futures’ Associate Allianz Legal Protection. With the recent announcement of the Civil Liability Bill generating further turbulence in the legal market, ALP hosted a local roundtable with solicitors in the Bristol area to discuss the challenges and opportunities in the Personal Injury and Clinical Negligence market. Over the course of two hours, the conversation focused on both customers and the profession, beginning with the impacts of the legal reforms. So, what are the impacts of the legal reforms on customers? The group were of the view that there’s a hidden, subconscious agenda for customers which they’ve been slow to pick up on. This is the question of whether honest customers should receive compensation for minor injuries. It’s an unconscious debate that gets lost in all the talk about the financial impact of the reforms. No doubt it’s going to become harder to bring low value cases in the same way they’ve been brought in the past with full legal representation. All agreed there’ll be an impact but it won’t be seen for some time – begging the question of whether it’ll be too late for customer groups to respond effectively? In the longer term, what are the impacts of the legal reforms on the legal profession? The immediate response was de-skilling with recruitment focused on paralegals rather than proven expertise. 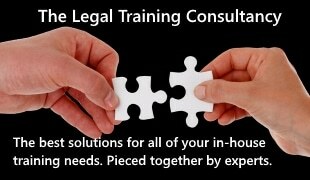 There’ll be fewer experienced Personal Injury and Clinical Negligence lawyers and a smaller talent pool to draw from in the long term. For those paralegals entering the market, high value cases are attractive but with so few of these around, there already seems to be a move to enter commercial law where the rewards are greater. This means low value cases will become less attractive and lawyers won’t be able to run the cases as they won’t be cost effective. It puts into question, who will pick up this work – unproven experts or will cases simply not be run? Clarke Willmott Solicitors summarised it well “I didn’t enter the profession to turn down cases where compensation is rightly deserved due to such cases being uneconomical to run”. And what about the short term impacts? Solicitors will become more selective about the cases that are taken on. That’s a logical next step but it might mean that some more difficult cases that solicitors firms would have previously taken on and won, won’t be pursued. Also, law firms will be under more pressure to accept offers on cases. Whilst the interest of the client is fundamental, there’ll unconsciously be some pressure to settle cases earlier as margins become tighter. Advertising and marketing has changed in the market – social media has grown and is now a fundamental part of promoting brands and services to customers. The spike in TV advertising has slightly reduced over the past 12months and this channel is often seen to have a negative impact on the industry as it promotes a compensation culture. Liked or not however, TV advertising has huge reach and solicitors would find it difficult to compete with the largest in the market through other marketing channels. Turning to customer perception, discussion focussed on whether customers are aware of their rights and how they access legal services? Consensus was that the population is becoming more aware of its legal rights with the shared view that there are generational differences. Millennials access and use information far quicker and are generally more aware of their rights. This makes them more inclined to ‘claim’ than older generations. All customers can now easily shop around so it’s not uncommon for two or three firms to be approached before a decision is made. This makes a law firm’s online customer journey vital for establishing confidence with a customer on first impression. And whilst there also seems to be customer demand for law firms to embrace technology with online transactions supporting growth, a face–to-face experience is still valued and needed. There is also an expectation from customers around fixed price deals and price publication so they can easily compare costs. With price a more highly considered factor than brand and proven expertise, it’s likely this customer expectation is only set to increase. And lastly, where does mediation sit in all this? Generally, all law firms attending voiced that they currently aren’t seeing a growing trend for mediation due to little appetite from defendant law firms. However, it was mentioned that there has been a slight increase in the NHS Resolution promoting this. Our panel concluded that solicitors will always settle cases by negotiation but they readily accept it takes both parties to have that view for cases to settle. They’re open minded to change but don’t think that any form of compulsory meditation is likely to be successful in the near future. An interesting and insightful discussion, ALP would like to thank our solicitor partners for attending our roundtable and sharing their views.